The Marquis Watch speaks volumes without even trying. Its clean classic good looks say class, confidence and style–– in fact it’s main appeal is being able to stand out without trying too hard. The mechanics are top notch as well, with a precision movement that oscillates at an unbelievable 32,768 times per second. 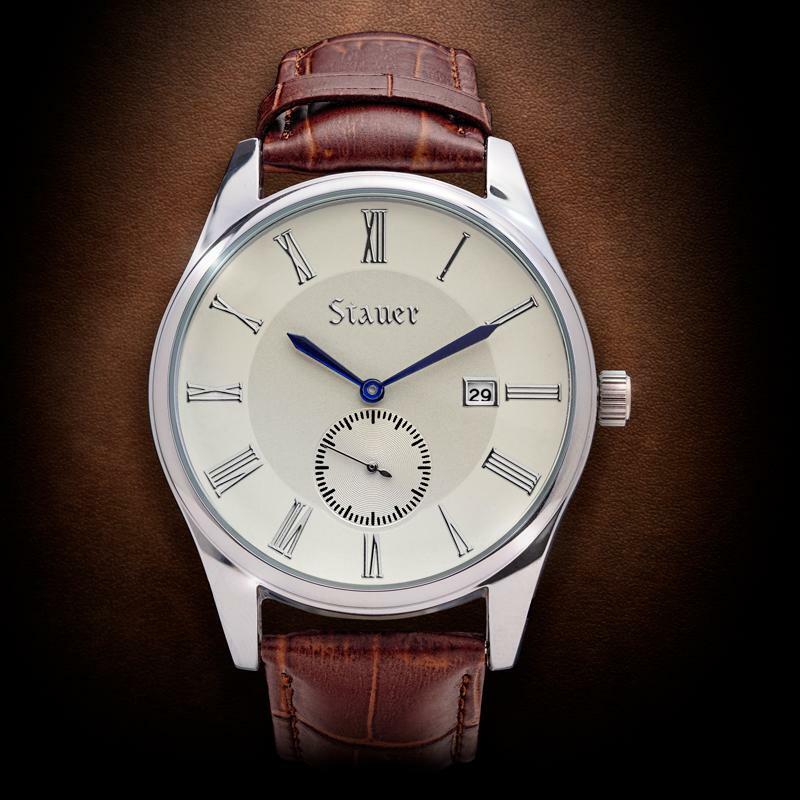 Yes, this is a timepiece that’s very telling about the caliber of the man who wears it. And, because you made the decision to purchase a watch based on quality and not a big name, the Marquis also says you’re a man of marked intelligence. Water resistant to 3 ATM.